Download OLM to MBOX Converter free trail version to import Outlook 2016 / 2011 Mac OLM files to MBOX format in Thunderbird, Apple Mail, Entourage, Eudora in Windows OS. Export OLM emails, contacts, calendars, attachments to MBOX file format in bulk. Import Outlook OLM file into Mac Mail & other 17+ email clients. 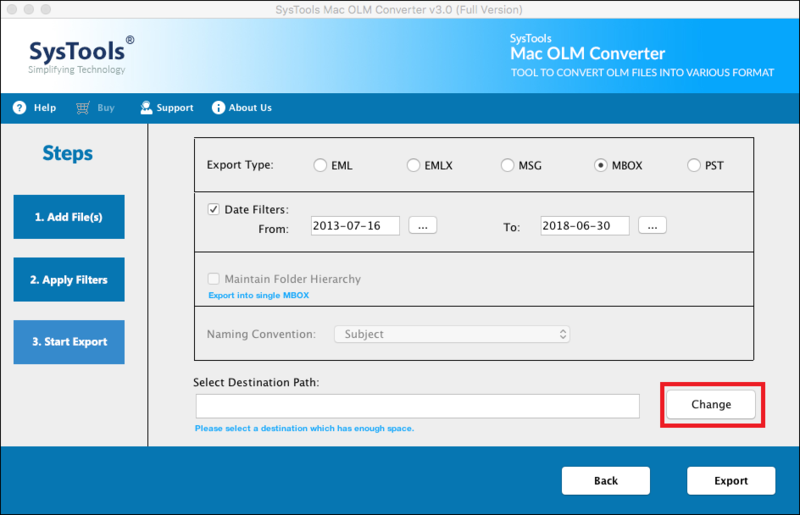 The SysTools OLM to MBOX Converter tool import .olm files in MS Outlook 2011, 2016 Mac to .mbox format in various MBOX file supporting email clients, namely Thunderbird, Mac Mail, Entourage, Eudora, The BAT, Opera Mail, The BAT, Netscape, Spicebird Mail, PocoMail, Turnpike, EarthLink, MailCopa, Berkeley mail, etc. Easily. Export emails from Outlook 2011, 2016 Mac to MBOX mailbox file format. 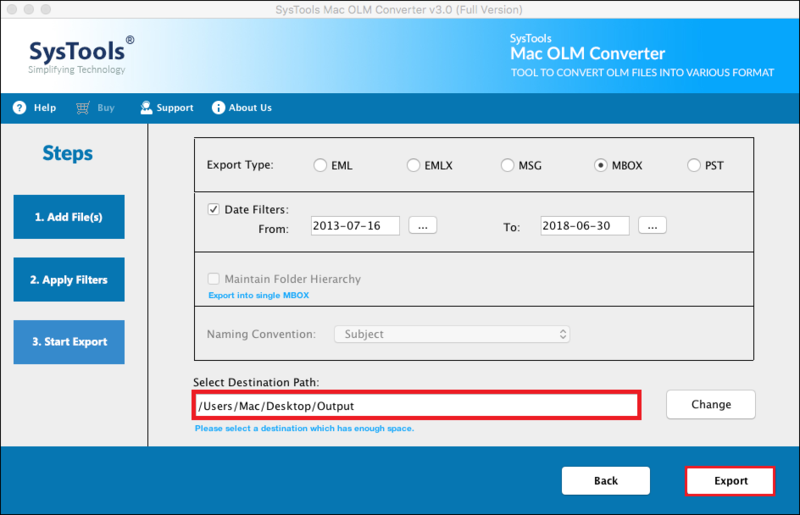 The conversion of Mac OLM file to MBOX format is executed on a standalone mode, as the utility is an independent performer and doesn’t require Mac OS or Microsoft Outlook for migration. Convert Outlook Mac 2011 OLM files to MBOX file format in .mbox supporting desktop based email applications. The OLM to MBOX Converter tool allow users to import OLM file to Thunderbird, Apple Mail, Entourage, Eudora, EarthLink, Spicebird mail, Netscape, The Bat, Turnpike, Berkeley mail, PocoMail, etc. Apple Mail (Mac Mail) email client is one of the main MBOX file supporting email application. 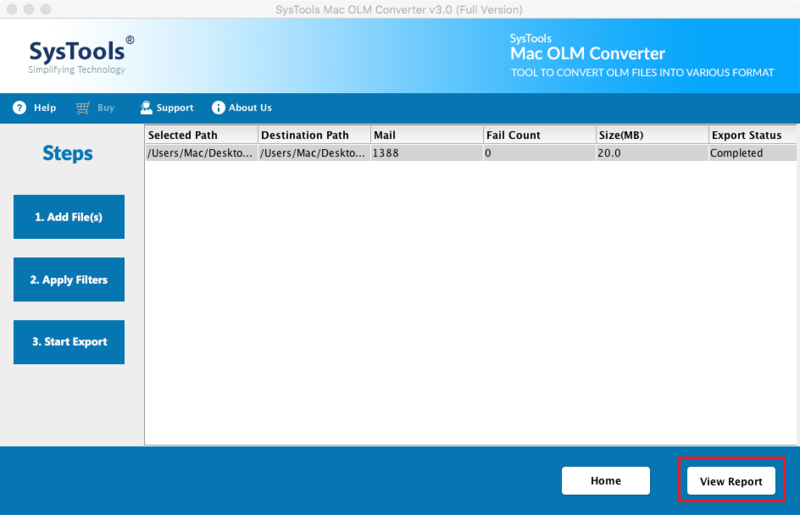 SysTools OLM to Apple Mail Converter provides the users with a provision to import OLM into Apple Mail account. i.e., the software allows to convert OLM files in Mac Mail to MBOX file format. The OLM to Thunderbird Converter utility permits the users to import OLM file to Thunderbird MBOX format, which is the most commonly used MBOX supporting email application. The resultant .mbox files obtained by the conversion of Outlook 2016, 2011 mac OLM files can be exported in Mozilla Thunderbird without any efforts. OLM file can be imported on Windows with the help of Mac Outlook OLM to MBOX Converter software. Before exporting Outlook Mac OLM file into MBOX format in Windows OS, the application allows a preview of complete profile data of OLM emails, contacts, attachments, calendars etc. 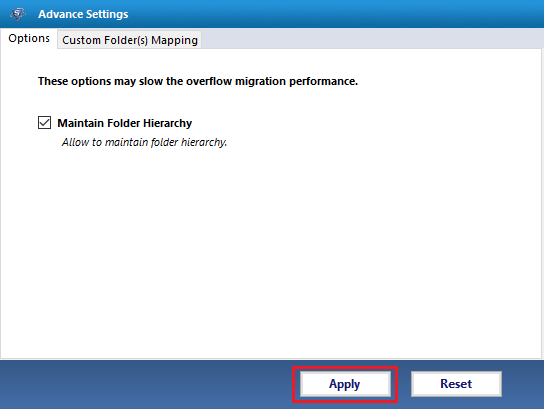 The OLM file into MBOX migration software provides an option to enable or disable the folder hierarchy during Outlook 2011, 2016 Mac OLM files to MBOX migration process. This Outlook 2011 to MBOX Conversion software provide 2 options to selectively export OLM to MBOX file format. Both the options will help you to convert Outlook Mac files into .mbox data file at a time, i.e. it allows to view OLM file in MBOX file format. Add File(s): To convert single or multiple OLM file to MBOX at a time. Add Folder: To import folder consisting of bulk OLM files in .mbox format. There is no limitation imposed on the size or the number of OLM files to be converted. You can export Outlook 2011 Mac to MBOX converter for unlimited file conversion of any given total size without facing any performance failure during the process. THe product also allows users to map items in sources file as exactly in the destination folder without affecting folder integrity. Once the Outlook OLM file migration completes, OLM to MBOX fie conversion software generates a report automatically regarding the transferring process. This export report consists of details related to the conversion of Outlook OLM emails to MBOX format - file path, file name, success percentage, etc. The Outlook 2016, 2011 Mac OLM to MBOX Converter provides filter email option using Date Filter feature. This allows users to filter OLM file emails from a specific Date range using from: and to: options; which can sort out the emails within the specified range. How to Export OLM to MBOX File Format? Step 1 : Firstly, Open a Outlook Mac OLM to MBOX Converter. Step 2 : Now, Go to Add file and click on it, select the OLM file which you want to export. 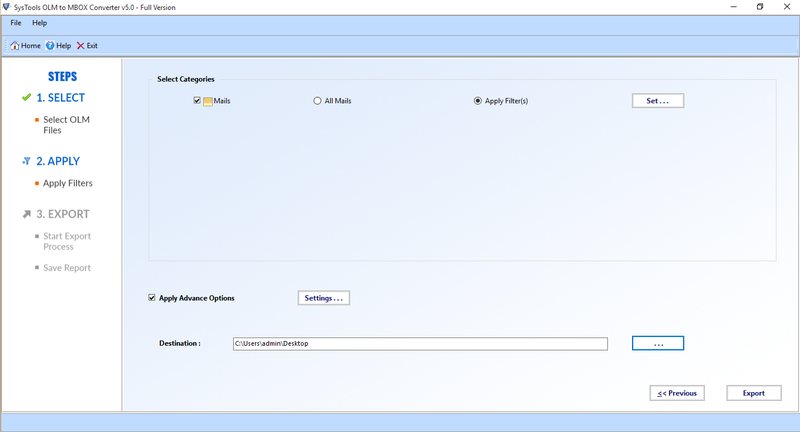 Step 3 : Choose the SET option on the window, to set advance setting options to import Outlook 2011 Mac to MBOX format. 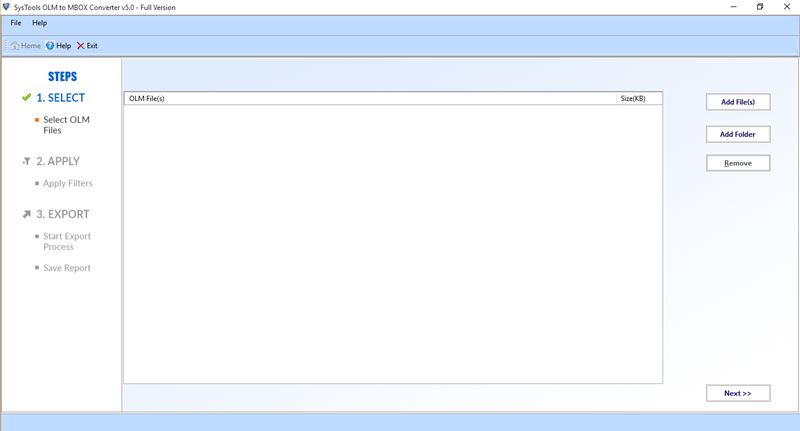 Step 4 : Set Date ranges before migrating OLM file to MBOX in Thunderbird, Apple Mail, Entourage, Gmail etc. Step 6 : Now choose the destination location of the file, where you need to save it. Step 8 : See the current status of the converted file in Export Status such as mail Count, Current folder path, current folder Processed, current mail subject. At last click on Ok, when succesfully migrated. Step 9 : Save the report of the process, export outlook 2011 for mac to Apple Mail, Thunderbird, Eudora etc. Step 10 : Go to local machine, find the converted mbox file in the same folder where you. Q. 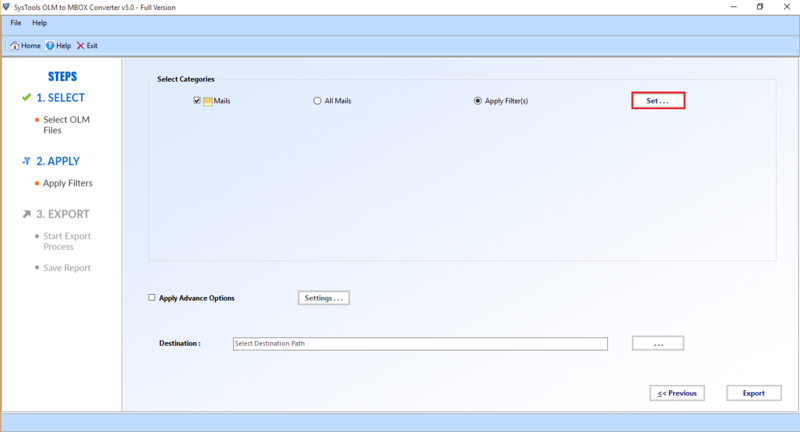 How can I successfully convert Outlook 2011 OLM to MBOX file? Ans: You can simply go for Mac Outlook OLM File to MBOX Converter instead and accomplish the OLM file conversion successfully. The software is a Windows based solution that export orphan OLM file into MBOX format without the need of Outlook installation on conversion machine. Q. 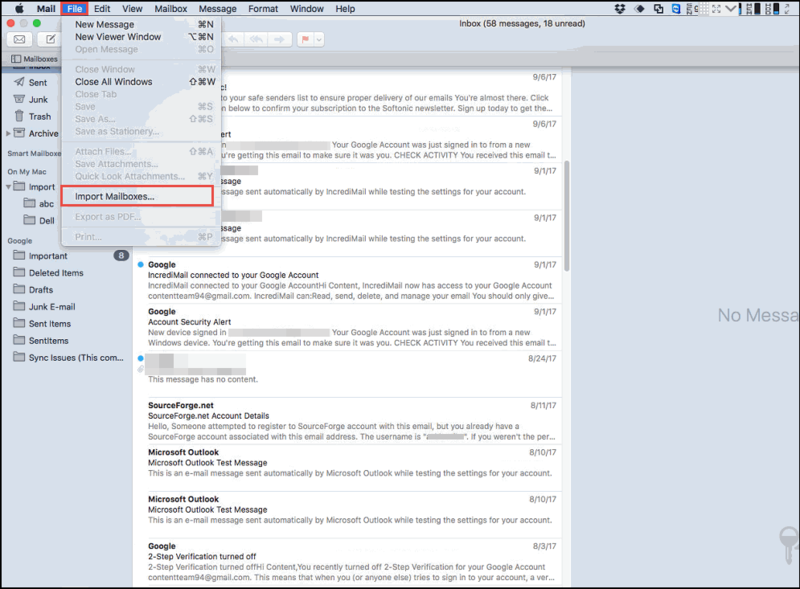 How to import Outlook OLM file into Apple Mail (Mac Mail)? 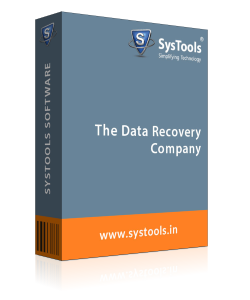 Ans: The SysTools OLM to MBOX Converter tool to convert OLM files into Apple Mail is one of the best solution available. The application is not just user friendly but also offers endless conversion without a failure. You can migrate unlimited number of OLM files into MBOX format in bulk at once. Q. Can I import OLM to Entourage 2008 and Eudora email accounts using this tool? Ans: Yes, This OLM to Thunderbird MBOX Converter tool also support 17+ email clients such as Apple Mail, Entourage, Eudora, EarthLink, Spicebird mail, Netscape, The Bat, Turnpike, Berkeley mail, PocoMail, etc. You can confidently go for this utility to convert Outlook OLM to MBOX format. Note: OLM to MBOX Converter Software will get delivered on your registered email id, within few minutes after placing the order. 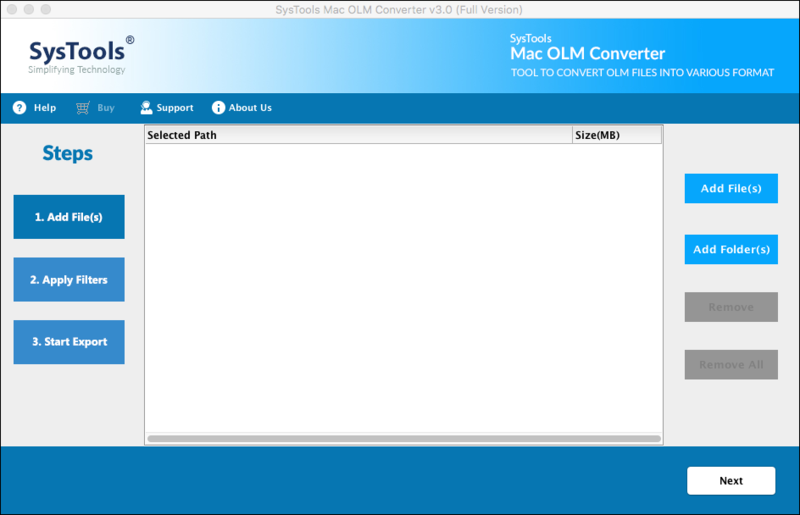 Mac OLM Converter is an entirely automated application to convert OLM file in Mac OS. It is a simple & smart utility to import Outlook 2016, 2011 OLM file to MBOX, EML, MSG, EMLX format. Mac OLM Export tool keeps data are safe during migration. Harmony with all latest Mac OS X editions. 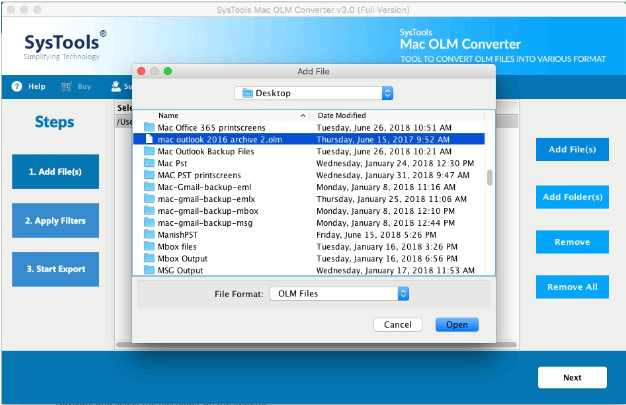 Mac OLM Converter Tool supports to convert OLM files in Mac OS versions like MAC OS X 10.8 (Mountain Lion), MAC OS X 10.8 (Mavericks), OS X Yosemite(10.10), OS X El Capitan(10.11), macOS Sierra(10.12), macOS High Sierra(10.13). Mac OLM Export tool is designed in such a way that it is capable of migrating email messages from the OLM files in Outlook 2011, 2016 versions. In addition, the application also import attachments corresponding to each email into the MBOX file format. Primarily, the tool is a complete migration package for Mac OS users. Import OLM File to MBOX, MSG, EML etc. On using this Mac OLM converter application, users can migrate Outlook 2016 / 2011 OLM file to MBOX, EML, MSG, and EMLX file formats. Any of these formats can be chosen to export Mac OLM file. In other words, it becomes quite easy for users to view OLM file in other platforms too. This feature is helpful to convert OLM files to MBOX or other file formats in Mac OS. 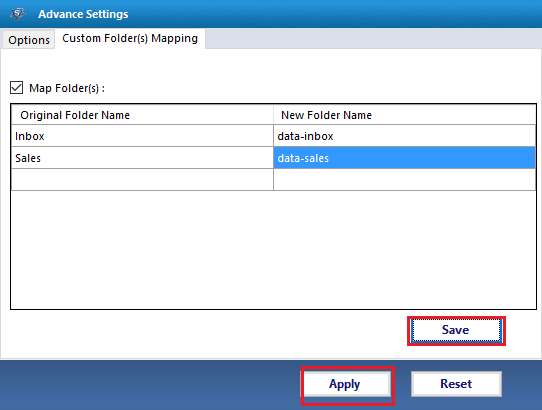 An option of Add Folder is present to insert an entire folder having multiple OLM files in it. In this manner, it becomes very simplified to import multiple OLM files to PST & other file formats like MBOX, EML, MSG, EMLX etc. When users convert OLM files from Outlook Mac 2011 & 2016 to other file formats like MBOX, MSG, EML, EMLX etc. the original folder structure is kept undisturbed. Once OLM file conversion is completed, the folder layout is preserved as it was on Mac Outlook 2016 and 2011. Additionally, the Mac OLM file Export tool can be opened on Mac OS 10.8 and all above editions. 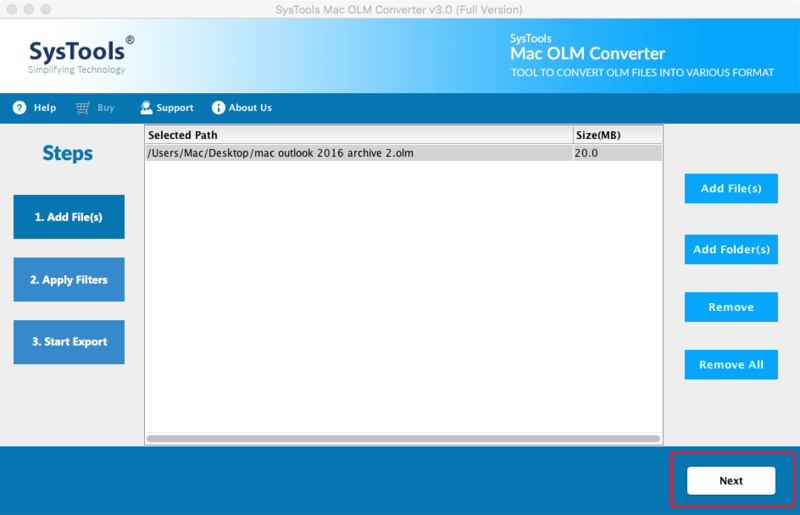 The Mac OLM Converter is developed with an advanced technique which equips a user to save the resultant file as per the requirement. Many combinations are available to convert OLM file to MBOX, MSG, EML file like Subject, Date (DD-MM-YY) + From, DD-MM-YY + Subject, etc. An impressive feature offered by Mac OLM file migration software is users can move only selective amount of data from Mac OLM file. For this purpose, a date-based filter is provided by Outlook 2011, 2016 OLM COnversion tool. 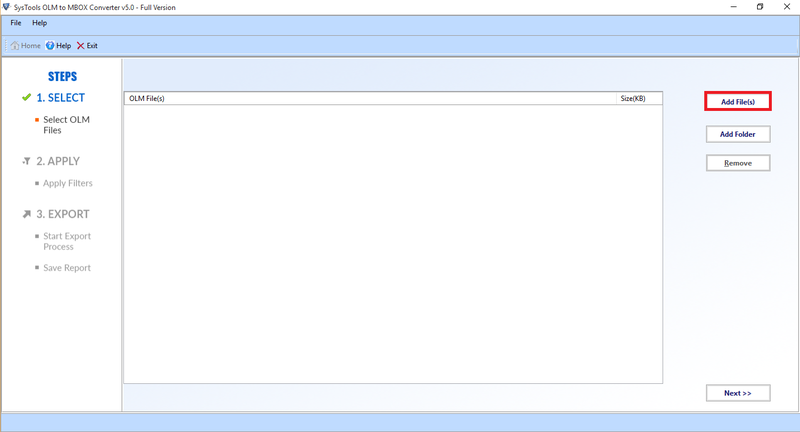 Here, users have to enter a date range in “To” and “From” field. The data falling in the range will be exported. How to Convert OLM File to MBOX, MSG, EML, EMLX? Q. Is it possible to convert OLM files in Mac as batch? Ans: Yes, all the Mac OLM files can be added by Add Folder option. No need to add them one by one. 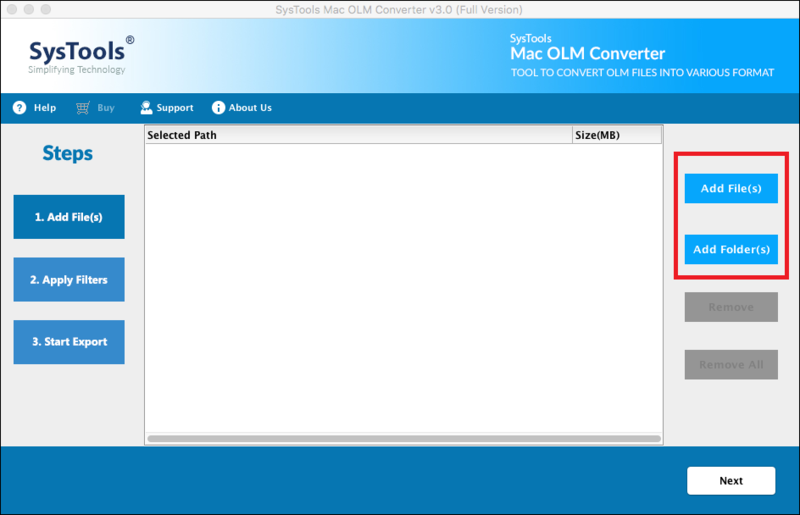 And this OLM Converter Mac OS tool will migrate multiple Mac OLM files into EML format. Q. How are the resultant files saved in the local system? Ans: Yes, there are multiple naming conventions available in the tool to store MBOX, MSG, EML, EMLX file formats. You can choose any combination from the Mac OLM converter software interface itself. Q. 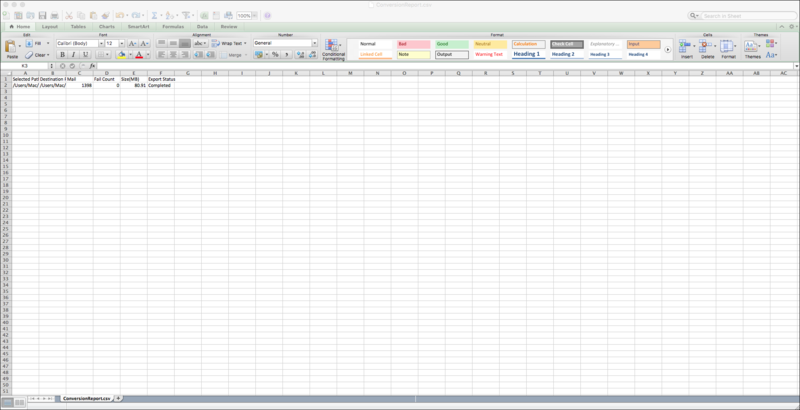 Does Mac OLM Export tool impose file size limits to import Outlook 2011 OLM files? Ans: No, there is no such issue. The OLM data file migration application is designed with a very smart algorithm. You will not face any kind of difficulty. Note: Mac OLM Converter Converter Software will get delivered on your registered email id, within few minutes after placing the order. I have used a large number of products to convert OLM to MBOX format. But, I cannot get the satisfactory results. Even I lost my data while trying other methods to import Mac OLM files into MBOX format. Then, my friend told me about Mac OLM converter application to export Outlook 2016 OLM file in other platforms. I used it and I am very happy that I found this tool. Thanks. I am an employee in a reputed IT organization. I do not prefer manual methods as they are very risky. So, I used this Mac OLM Export tool for convert OLM files to MBOX. I cannot believe that it is so easy to work on it. After a few steps, I can see the desired results. I would really like to appreciate your work for developing this OLM File Conversion product. A few months ago, I was switching from Mac system to Microsoft Windows. In Mac, Outlook 2011 OLM files were present and they were very important to me. To transfer them, first I converted them to personal folder file format. I used your Mac OLM Converter Tool. Thank you so much for making migration so easy.